Furthermore, determine the necessary switch actuation statuses (i.e. pressed versus unpressed) to turn lamp Z on. Output Q0.1 will activate to energize lamp Y, but the other output (and lamp) will remain off. To energize lamp Z, you must release (unpress) both switches. 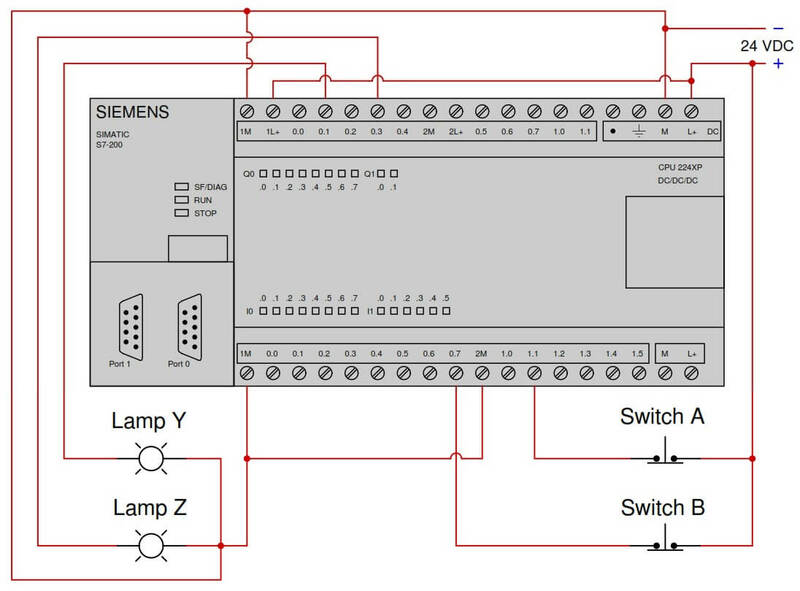 Determine the Status of Lamps and Relays in the Circuit ? 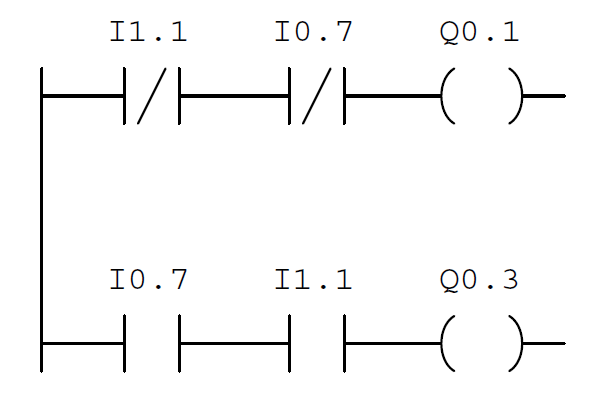 If neither switches are pressed, it means both of theme are conducting (they are normally closed switches) it means I.11 and I.07 are both at state “1”, but in the program in the first rung, the contacts are negated it means that Q0.1 will be de-energized = lamp Y is “off”.